St John’s College Library is currently hosting a fantastic exhibition of it’s collection of livres d’artiste, collected for the college by Dr Peter Hacker when he was the college’s Library Fellow. It’s a great collection of more recent livres d’artiste and some wonderful examples of ‘non-illustrative’ illustrations, curated by Tom Cullimore from St John’s College library. As part of an opening event for the exhibition I was asked to give a short talk on the background of the livre d’artiste, and some of the key figures in their creation. If you’re interested in learning more about the exhibition itself, Tom’s written some great pieces about it here: https://stjohnscollegelibrary.wordpress.com/, and you can find out more about the library itself and visiting it here: https://www.sjc.ox.ac.uk/385/Library-and-Archives.html. It’s well worth seeing if you happen to be in Oxford. Below is the talk I gave at the opening event. The livre d’artiste is not a particularly well-known medium in the UK. As the name would suggest, they originate in France, and indeed arguable in the mind of a single individual, Ambroise Vollard. The main feature that sets them apart from other artisan book production is the close involvement of a single artist, and the fact that the ‘illustrations’ (as shown by the books here) stand as art works in their own right. You could find some precedent in Arts and Crafts books such as Morris’ Kelmscott Chaucer, and in some of the prints of Toulous-Lautrec, but the motivations behind creating the modern livres d’artiste were rather different, and the livre d’artiste has developed as a medium in its own right. of artists. 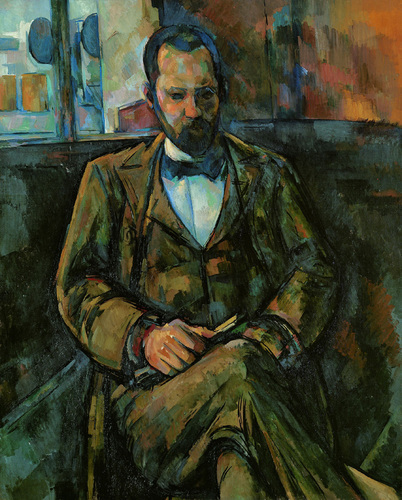 His first major exhibition was of works by Cezanne, for which he supposedly bought almost all of Cezanne’s extant artworks, numbering some 150 works. He went on to show works by Gauguin and Van Gogh, and was a key early supporter of Picasso, and later Matisse. While he was clearly a man with an eye for a prudent investment, he did also have a great appreciation for artistic endeavours. His mercantile success gave him the capital to explore his own interests and idea, primary among which was the idea of a finely crafted book containing works by artists, rather than professional printmakers. The title of the first such book he produced, Parallelement, reveals something of the artistic ambition that lay behind it. The book featured a collection of poems by Paul Verlaine, and specifically commissioned works by artist Pierre Bonnard, both prominent figures in avant-garde movements at the time. This pairing of poet and artists would become the pattern for future livres d’artiste. Parallelement was striking for the way in which the images and texts were linked and interspersed, with the images being position throughout the text, amongst the poems, rather than being separated or segregated, placing them on an equal footing with the poems. 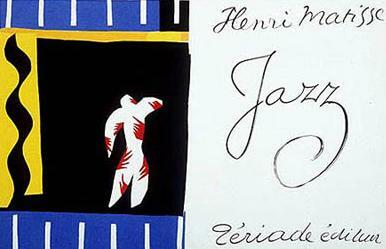 Matisse’s Jazz, published by Teriade in 1947, although this is not particularly representative of the form, as many of the images were originally created for other projects, and it is Matisse’s own thoughts, rather than the works of a poet, which accompanied them. Albert Skira, closely associated with the Surrealists, published Le Chants de Maldoror, with etching by Dali, and also worked with Picasso on numerous occasions. As this selection of a few names suggests, artists from many different creeds became involved in the creation of these books. The livre d’artiste still enjoys popularity, and they are still produced, perhaps in part thanks to the early involvement of figures who have become giants in the study of art and literature in the nineteenth and twentieth centuries. While it is perhaps tempting to think of them as collections of art works, and treat the publication of a new book in much the same way that we might a new exhibition, it is important that we consider the uniqueness of the form. The reader or viewer interacts with books in a completely different way to how they would with a hung exhibition, and the act of holding, and turning the pages of a book creates a rather different experience. This is clearly something their creators were keenly aware of, and the variety of ways in which they were manufactured shows an interest in the nature of them as books. Whether they were bound, the images printed, or tipped in, left as insets, what type of paper was used, etc, all these were taken into consideration. Vollard imported paper from Amsterdam (a traditional centre of paper production) for his works. This reveals some awareness, and desire to convese with, the history of book production. Kahnweiler also referred to the long history of the printed book, using a typeface based on that created in Aldus Minutius’ press, one of the earliest and most important of the Venetian publishing houses. The content was in some cases similar too, with classical works such as Homer (as seen in this exhibition) often being popular choices for the textual content of livres d’artiste. So while commissioning works from the most forward thinking of artists, there is still a sense that these works were part of the tradition of fine book publication. They certainly lived up to this in terms of cost, usually being expensive and luxurious items. This suggests another unique aspect of them as books, they have a degree of intimacy, they are to be held and possessed, and looked through at one’s own pace –there is a sense in which it is the will of the viewer that completes the act of creation, through the processes of viewing the books, how they choose to read and look through them. The multi-sensory nature of book viewing further adds to this feeling of intimacy with the object. France is a country known for its spectacular output of illuminated manuscripts, and, although used for very different, and secular, purposes, the livre d’artiste can be seen as an exciting continuation of this interaction between image, text, and viewer.